Google’s digital assistant will be available to more Android devices. Google has already announced its presence on Pixel, Google Home, Google Allo and Android Wear. 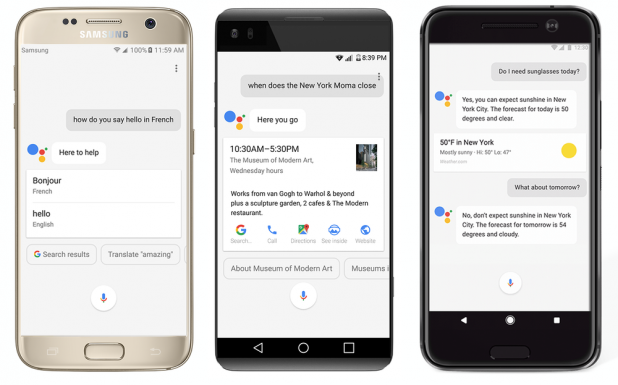 Google Assistant will soon be available on Android handsets running 7.0 Nougat and 6.0 Marshmallow. Google Assistant will roll out this week to English users in the U.S. English speakers in Australia, Canada and the United Kingdom, and German speakers in Germany are next on the access list. Google has promised more languages will be made available over the coming year. Google Assistant can perform Internet searches, answer questions and perform tasks like updating your schedule or booking a reservation. It can also give you the weather forecast, offer travel directions and surface requested photos and a lot more.